KinderCone | Me, Myself and First Grade – Write with us! I can’t recall when I learned to write my name. But I do remember writing on the walls inside my closet. My mom wasn’t too happy about that. I guess you could say I was a little bit of a school nerd growing up. One of my favorite things to do was play ‘school’, not house, school. Who does that? Well I did, and of course I had to be the teacher. I also remember all the homework papers I would bring home. I always wanted extra so I could play school over the summer. I think I just liked putting pencil to paper. Come to think of it I was always a pencil fan. I loved sharpening them on that metal device hanging in the back room at school, or on the one my mom brought home from work that somehow attached to the table, on demand. I often wondered when was the ideal time to stop sharpening so as not to sharpen too much of the lead. Seemed like magic. So just think how advanced I would be today if I lived in Germany. I read this interesting post on Nancy Olson’s blog. When first graders in Germany set off on their first day of school, their families reward them with a 200-year-old gift-giving tradition; a Schultüte. 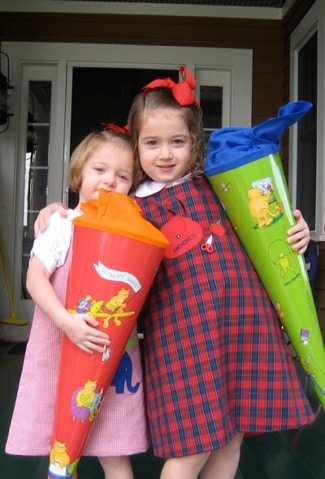 The large and colorful cone comes filled with treats, school supplies and small gifts. And on many occasion they included a fountain pen. Yep, kids learned to use a fountain pen in 1st grade. Best of all you can add your child’s favorite treat and of a course a personal note. So before you head to your child’s kindergarten graduation this week, stop in to pick up one, and one for the kid next door, and one for your cousin. 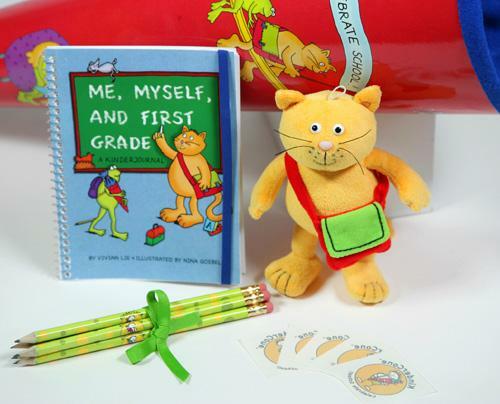 I think I’ll get one for me, myself, and….oh well, it’s never too late to master 1st grade! Loved reading this, Theresa! You make me want to buy one because you made it so personal. I’m excited for your big weekend! Previous Post Meet Kenneth Hughes, Jr.